Re-work or redress is the customization or modification of products - often to suit a local market. It covers re-packing of finished product to support a customer's product launches and promotions, and can also include re-palletisation. With SCALLOPS Logistics we are able to offer warehousing facilities for its clients at all major cities & other airports / seaports. Many of our customers choose to have our warehouse, which allows easy access to process orders and distribute products quickly and cost effectively. Well maintained fleet of trucks with cargo carrying capacities to ensure timely pick-ups and deliveries. 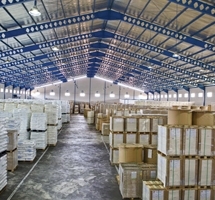 Our network of warehouses located in the close proximity to the International Airports, are well laid out, staffed by experienced personnel, and supported by the latest inventory management, security, and specialized storage systems. They are specially designed for handling a large volume of international freight and are open round-the-clock. As transport specialist in various trades, SCALLOPS Logistics’s logistics division provides a full transport service for import and export cargo with the emphasis on commodity logistics and inland transportation by rail, barges or road. 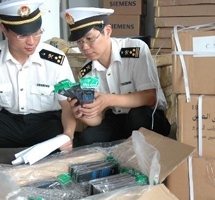 Our people are also experts on cargo handling, customs clearance, warehousing, distribution and insurance. 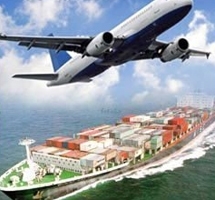 As transport operator in the trade with emerging market economics, the group handles all matters relating to cargo logistics and the supervision of import and export shipments. Our offices all over India which are staffed locally play a vital role on our customer's behalf in this challenging business environment. We can plan and execute multi modal service for all types of cargo especially complying with specific statutory requirement of the respective country. 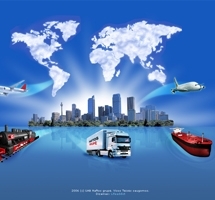 The focus is on integrated logistics solutions. SCALLOPS Logistics’s transport infrastructure, IT systems, cutting - edge technology solutions and an intensive knowledge of India allows it to tailor its products to meet every customer’s unique needs. We offer a wide range of options and do not waver in its focus on quality, reliability and speed. SCALLOPS Logistics projects and logistics utilize a total transportation concept that coordinate and monitor projects from initial planning through completion. We cater to our clients needs for heavy lift and turnkey projects from door to job site, including planning and consultation, heavy lift operations, sourcing, approvals from various authorities, consolidations, warehousing, full and part charters, insurance, export packing, customs brokerage and documentation - all solicited by a team of truly dedicated and proficient personnel with vast experience and knowledge in this sector.